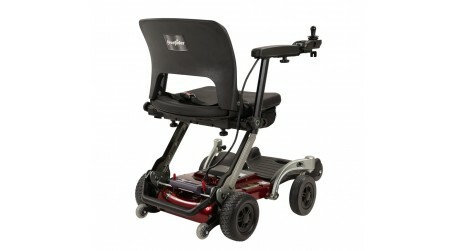 The LuggieChair is a welcome addition to the Luggie mobility scooter range. 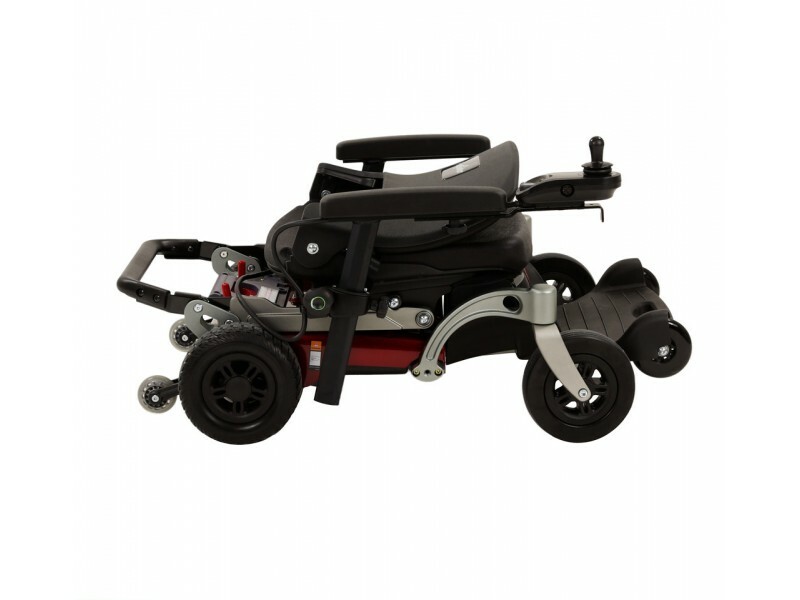 The new Powerchair is useful for people who need extra help being mobile around their own home, when out shopping, or travelling abroad. 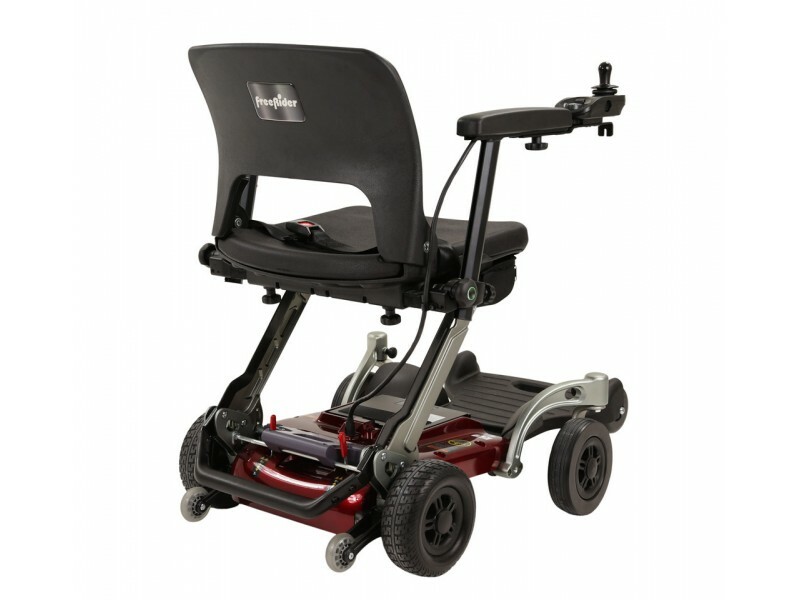 The unique folding and compact design of the power chair means it’s simple to fold down and store. 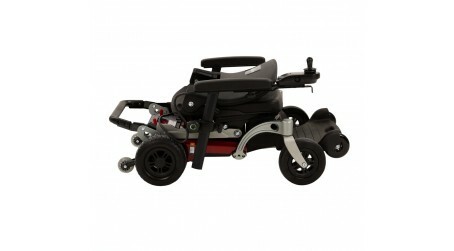 Unlike some electric wheelchairs, the Luggie powerchair is made to be compact and lightweight. Plus, its designed to make car and storing in the home very easy. 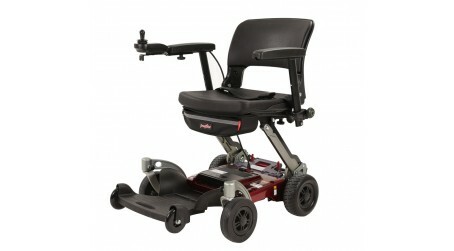 How to choose the best electric wheelchair to Improve your mobility? 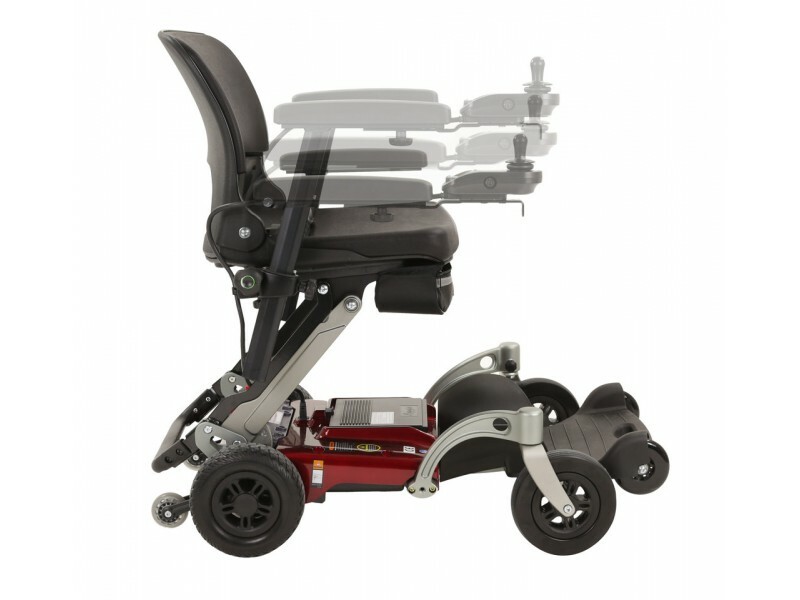 The Powerchair is fully customisable to ensure comfort and safety when using out and about. 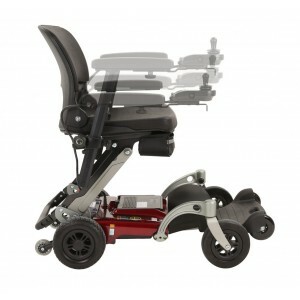 The power chair includes a wide footplate to make sitting for a long time comfortable. 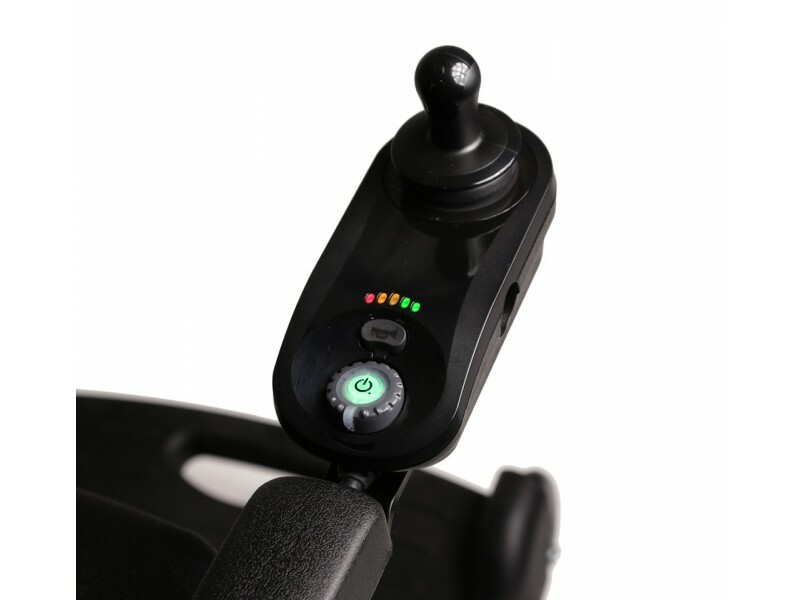 Plus, features a wide seat, adjustable armrests and a controller which can fit either side of the LuggieChair. 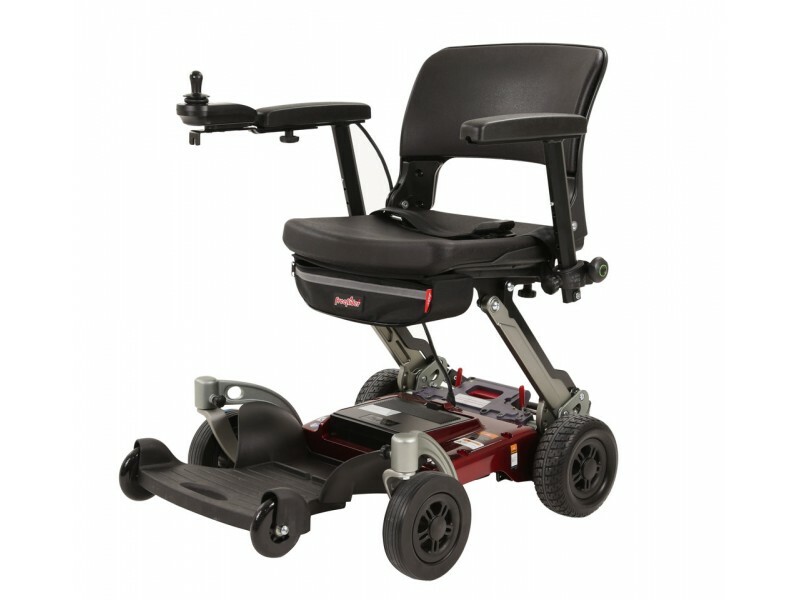 This electric wheelchair is powerful and reliable and offers a great number of useful features and some great mobility accessories. 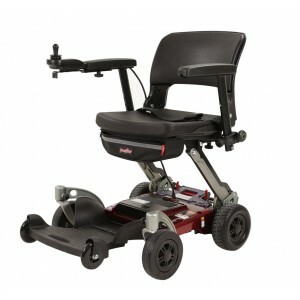 Why not get a home demonstration of the Luggie Powerchair and start to gain back your independence? 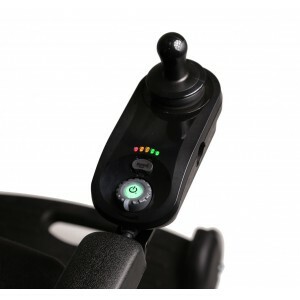 *Speed Control for safe indoor use. 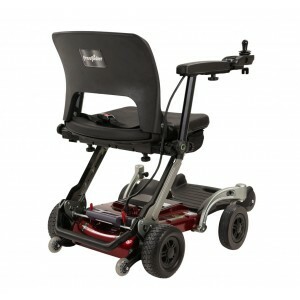 H 17" x W 23.86" x L 37.44"
H 31.73" x W 23.86" x L 31.73"
The LuggieChair is a power chair that is designed for comfort. 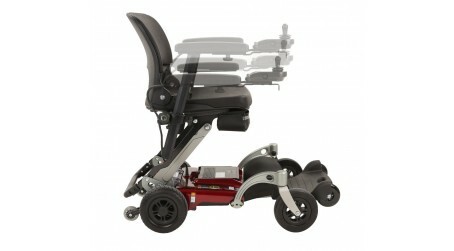 It comes with a wide seat, adjustable handlebars and controls. Plus, a wide footplate. So, you will always feel supported and comfortable whilst you travel. Fantastic tight turning circle means you don’t have to think about having a large mobility scooter or powerchair when shopping, streamlined for your independence when out and about. Lightweight design will ease getting in and out of the car. LuggieChair folds up and you can stand it on its end to create more space in your home or hotel room when you are not using it. Our lightweight wheelchair can be taken on any form of public transport including planes, trains & buses. 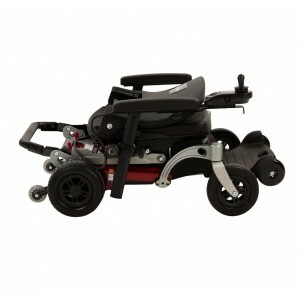 Our electric wheelchair is completely adjustable, meaning it is suitable for people of all shapes and sizes. You can adjust the armrest height and width, seat height, seatbelt. 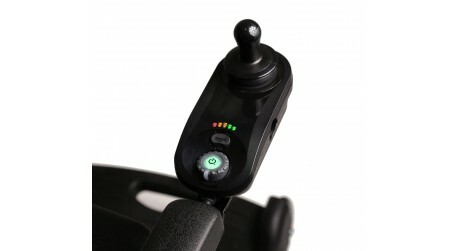 Plus, change the speed control to left or right handle. All for your comfort.